''Life span in the Digital Age is Short". That's the reason Akai now introduces the new Smart Box for Your Television. However may be Your Television, Akai's Smart Box can now turn Your Older TV to Digital. This Smart Box comes with a Wireless Mouse for easy navigation which You won't be getting for other such Boxes. 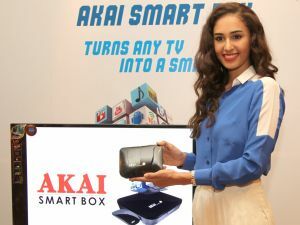 Akai's Smart Box is also based on Android Plat Form, Which gives life to Your Old TV and converts it into a Smart TV. This just comes for the Price of a Normal Mobile Phone. 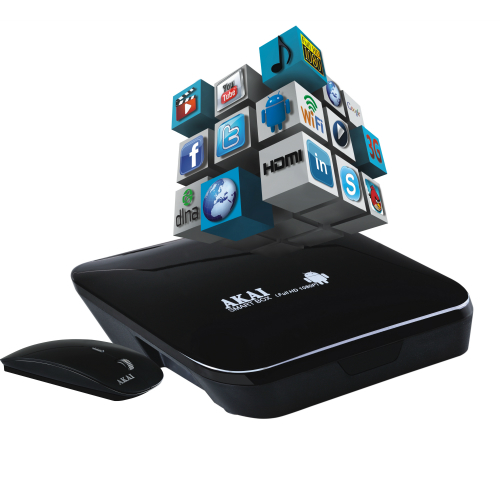 With this Smart Box Your TV can now perform all those functions which a Tablet or PC does. Social Networks like Facebook, Twitter, Skype & More. LAN cables or 2G/3G Dongles. Order now at www.akai-india.net or SMS SMARTBOX to 56161.